Contents: Pizza Planet playset, alien figure & Buzz Lightyear! ​Turn bottom Power Pad to move the spears and open the door! ​Turn the Power Pad to lower the claw, then close to grab an alien! 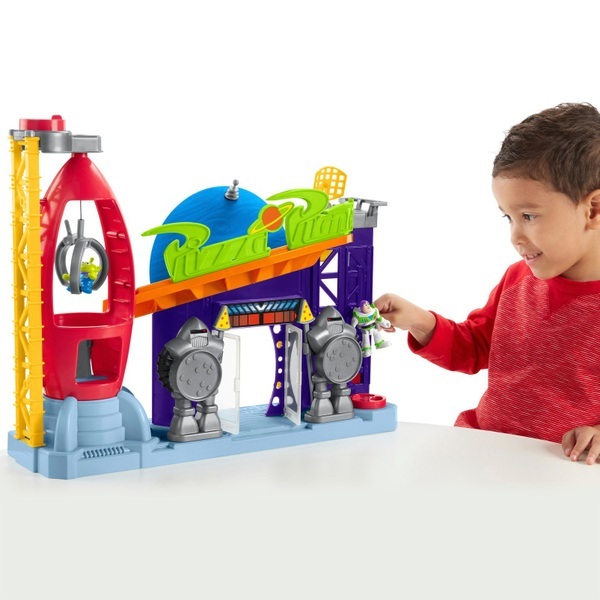 Kids can recreate their favourite moments from the Disney Pixar Toy Story films, and create new ones of their own, with this exciting Imaginext playset. Explore Pizza Planet with Buzz Lightyear, where kids can try to grab an alien with the working claw machine! Turn the Power Pads to bring the exciting action to life. What zany adventures will Buzz get up to next? That's for your young adventurer to decide! Imaginext Imagine What's Next!